In May, the Trump administration announced it would exit the nuclear agreement. It fully restored sanctions November 4 that the U.S. had once lifted as part of that deal. 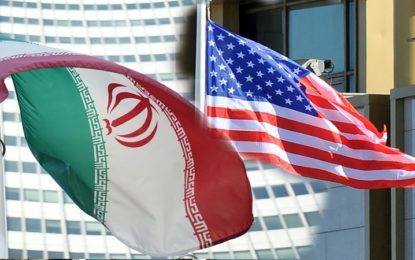 In September, the Associated Press reported a hacking group aligned with the Iranian government launched a major campaign targeting Mideast energy companies, according to FireEye, a security firm. Analysts also said Iran’s capabilities are evolving and focusing more on using social media to spread false information and skew public opinion. Iranian hackers are suspected of targeting banking websites in 2012, forcing services offline. The Financial Services Information Sharing and Analysis Center is an initiative that coordinates the industry’s defense against threats.